Today we’d like to introduce you to Jaret Martinez and Wanda Dilone. Thanks for sharing your story with us Jaret and Wanda. So, let’s start at the beginning and we can move on from there. Sweet Linens is a mother-daughter team that was created from years of hands-on experiences and a great passion for creating memorable events for all of their clients. From the moment our client walks in the showroom; we deliver personal care and great customer service throughout the entire planning/designing process. Loving what we do and doing what we love ensures a quality of service that allows our clients to “bring to life” the event of their dreams. After all, our main focus is “Making Any Event a Sweet Success”. Jaret – It has always been a dream for me to own a business. I always enjoyed planning and decorating events but didn’t seem to “find” the time to make it a business. It wasn’t until my mother, my husband and God’s revelations that made me realize it was time to take that leap of faith and make it happen. We have been extremely blessed with the rapid growth and success of Sweet Linens. 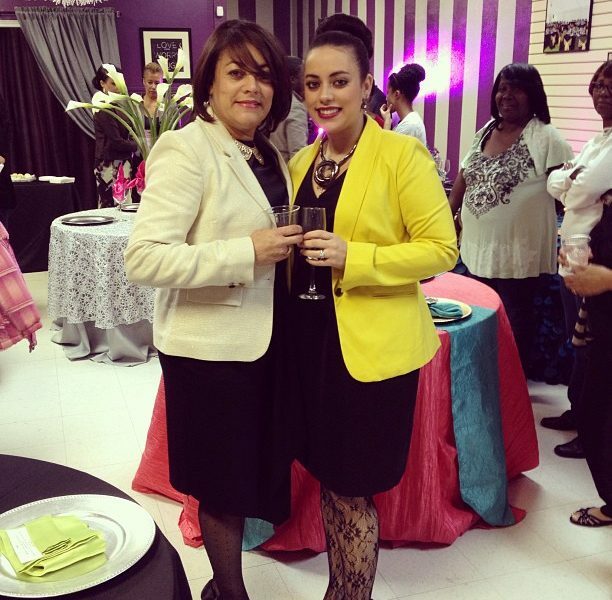 Wanda – I have always been a business woman, from owning my own travel agency to opening a party supply store in my country, Dominican Republic. Planning and decorating events has always been my passion. To be able to run a business alongside my daughter is truly a blessing. I am very grateful to God and all of our supporters from all over the world that contribute to the success of Sweet Linens. Jaret- I don’t think owning any type of business is a smooth road. People believe that just because you are your own “boss” you live a lavish and stress-free life. When in reality, I think you have to work more and harder. Every business goes thru trials but if you stand firm (lots of prayers) and weathered the storm- you will succeed. Wanda- Nothing that comes easy is worth it. To be successful you have to overcome all the obstacles thrown your way. We learn as we go and become better each and every day. Alright – so let’s talk business. Tell us about Sweet Linens – what should we know? Since opening, Sweet Linens has designed and executed more than 300 weddings, from small family affairs to over 800-guest events. Sweet Linens will follow you anywhere. The team has orchestrated weddings and events across the country, from Punta Cana, Dominican Republic to Orlando, Florida. In 2014, Sweet Linens was named the area’s best wedding rentals by the Houston A- List. Customer Service! From the moment our clients walks into our shop and all thru their event process, they are our priority.